I’ve become a big fan of rose scents recently, so the La Montana Sacred Roses Candle that you can see peeping out is such a good choice. It’s main scent is heavenly damask rose with a touch of narcissus, geranium and chamomile – beautiful! 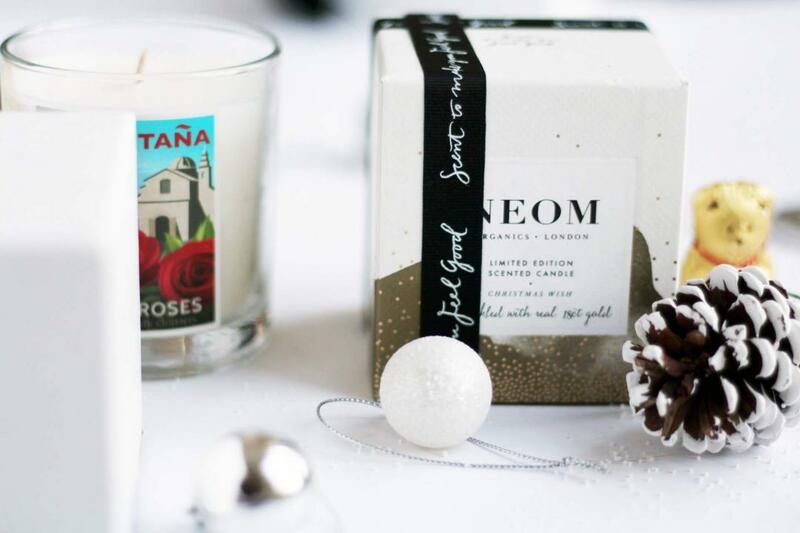 Next is the perfectly festive Neom Christmas Wish Candle whose branding I absolutely adore these days. Housed in a beautiful gold dotted glass, the mandarin, cinnamon and tonka bean scent is so perfect for festive evenings! Elemis have wowed me yet again with their candle offering this year. The Elemis Spa Light Candle burns for 40 hours, which is fantastic, and will your home with vanilla, orange and cinnamon. It’s Christmas in a candle, to be honest! 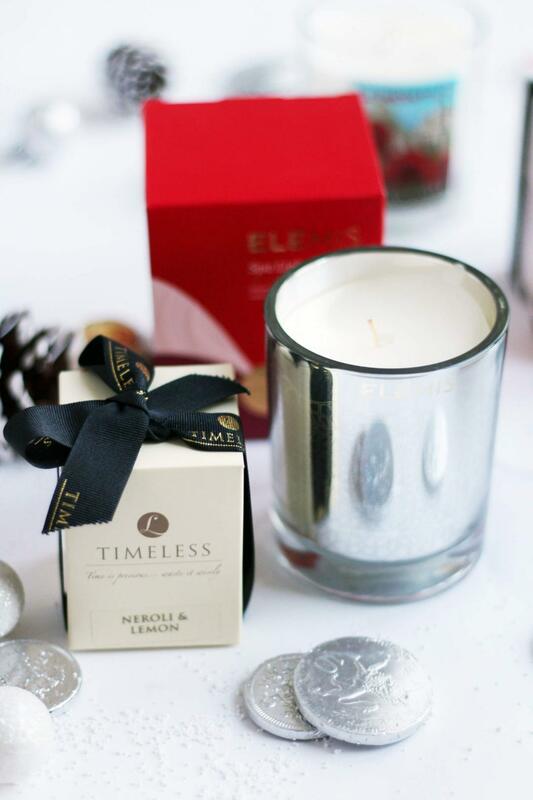 A perfect stocking filler would be the Timeless Neroli and Lemon Candle which you can buy in a range of sizes. If traditional Christmas scents don’t float your boat, then this refreshing spa-like scent might be right up your street with a hint of eucalyptus and peppermint. And finally, we have my favourite of the bunch and one I’ve been burning pretty much every evening since it landed on my desk. The Rathbornes Dublin Tea Rose, Oud and Patchouli candle is beyond just being a gorgeous scent, it literally makes me happy when it’s lit! It’s a soft rose scent with so much depth from the oud and patchouli. Basically, if you’ve ever tried Jo Malone’s Velvet Rose and Oud cologne (which is my favourite perfume) then you need to get this!